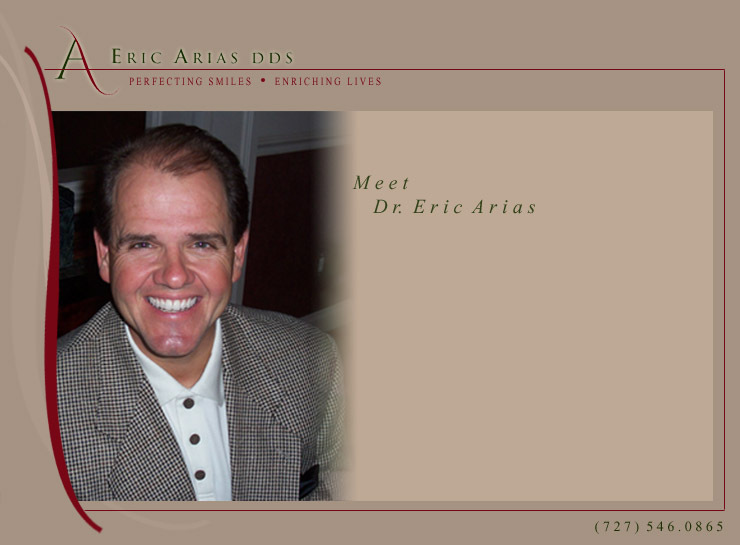 Dr. Eric Arias is a recognized smile expert. He has practiced dentistry in Tampa Bay for 15 years. Dr. Arias is a accredited member of the prestigious American Academy of Cosmetic Dentistry and Dental Organization for Concious Sedation, a certified DURAThin Clinician, and a graduate of the world renowned Pankey Institute. Call Shelly at (727) 546.0865 to schedule your smile appointment with Dr. Arias.